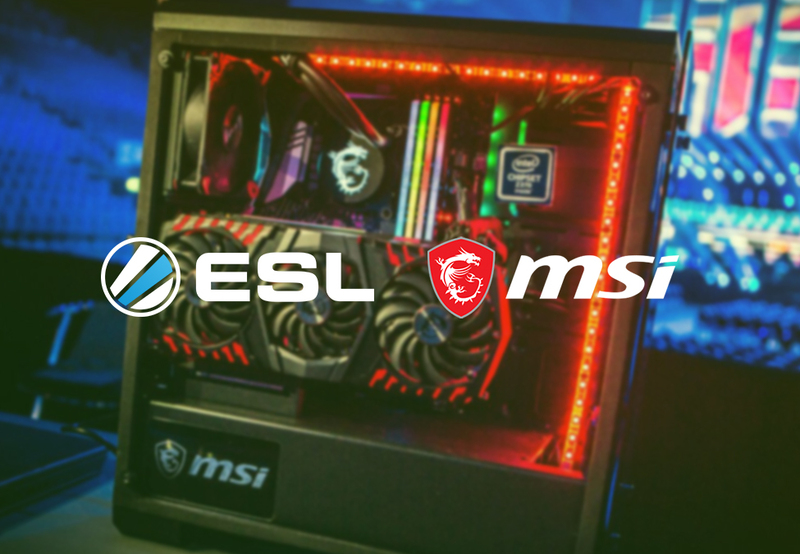 ESL has announced an extension to their partnership with MSI. The deal will see MSI become the Official Gaming Partner for ESL One events in 2019. The partnership will cover three upcoming events including ESL One Birmingham and ESL One Cologne, and one more to be announced. MSI will provide all events with gaming hardware, including motherboards and graphics cards. They will also work to captivate fans through onsite activities. Paul Brewer, SVP of Brand Partnerships at ESL North America said: “ESL aims to deliver the best possible experience to not only fans and players attending our events but also those watching online. “It has been amazing to partner with ESL throughout 2018. Our extended partnership in 2019 guarantees global players not only another year of world-class gaming events but also incredible gamer-driven innovations that will reshape their gaming experiences,” said Sam Chern, MSI Marketing VP. Previously, ESL also announced an extended sponsorship with Betway, which sees them receive exclusive behind the scenes access, in-stream branding, and VIP hospitality at ESL events for 2019. Additionally, Acer also extended its partnership making it the exclusive PC partner of Intel Extreme Masters (IEM) events for the next three years. Esports Insider says: ESL continues to show its strength as a top esports company with another sponsorship extension. The extended partnership will enable MSI key exposure over three big events and the ability to reach new audiences.